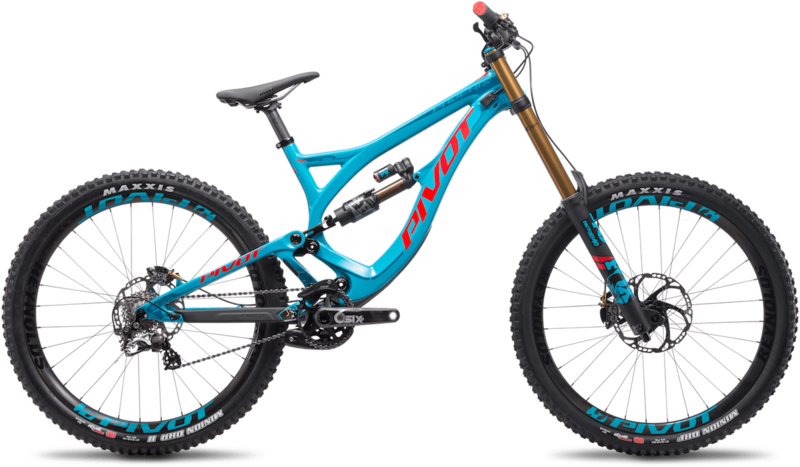 Just heard from my friends at Pivot and they’re preparing for another season full of podiums and with new colors for the Phoenix Carbon DH. It’s the same flagship bike just more colorful in blue and silver. As you’ve probably read from our PressCamp coverage over the years, Pivot is what got me back into spending more time mountain biking and I encourage you to do the same. The bikes have gotten that good and Pivot’s are exponentially better than when I rode 20 years ago. If you’ve got some base fitness and handling skills you can ride pretty much anywhere; probably not like Bernad Kerr, but you can still have a super fun time. The anti-squat and variable wheel travel path enable us to create a bike that pedals better than any other downhill bike. And since the Phoenix doesn’t squat down deeply under pedaling force, we can lower the bottom bracket height and slacken the head angle. You get the best performance in the most technical sections of the downhill without striking your pedals everywhere else on the course. The Phoenix is a World Cup missile, but it also works amazingly well at the bike park. For 2018, the new Phoenix Carbon colors are: Aqua Blue with red accents or Sterling Silver with bold yellow highlights. The Phoenix is equipped with a meticulously shaped carbon frame and features such as the massive downtube and double wishbone rear triangle to maximize stiffness and precision. 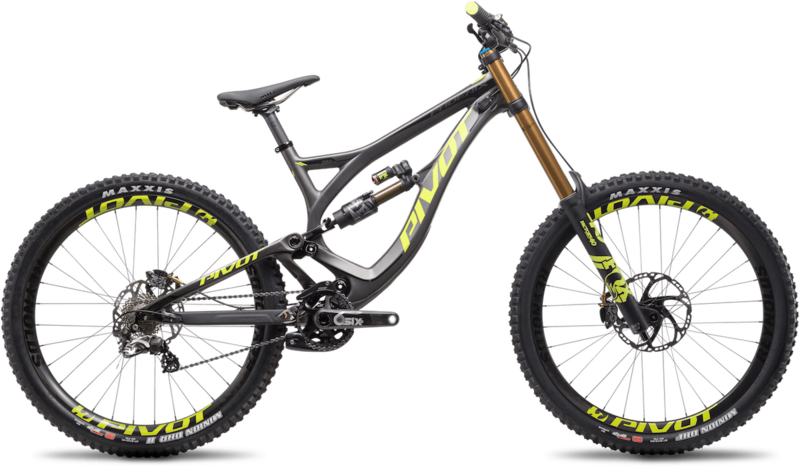 The Pivot Phoenix Carbon DH is available as a complete bike in few different configurations, ranging from $5,399 to $8,799 USD. The Phoenix is available now, in all sizes, at key Pivot Dealers worldwide.